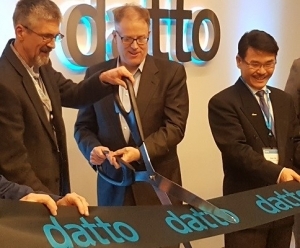 Steve Weeks, President of North Vancouver-based Datto partner Netcetera, took part in the ribbon cutting opening ceremony as Back Up and Disaster Recovery software giant, Datto Inc. officially celebrated the opening of their expanded office facilities in Markham, Ontario. Steve Weeks has served on the Datto Partner Advisory Board for over five years, further testament to his confidence in both the excellence of Datto’s Back Up and Disaster Recovery solutions and the strength of the company. Netcetera was Datto’s first Canada-based partner. Steve recalled Datto’s earliest days in 2007 when he met founders Austin and Ian McChord who introduced him to some new back up and recovery technology. The 21-year old Austin McChord, a technology wiz and a Rochester Institute BSC graduate of Bioinformatics, had begun creating a data recovery and backup device in his father’s office basement, fashioning his first product using Linksys parts, Lego pieces, hot glue, a soldering iron, and his own software. Austin McChord went on to secure several patents for the product which worked by taking frequent snapshots of clients’ server content and then encrypting and transmitting the data to backup servers, allowing for quick reboots if client servers were hacked or crashed. 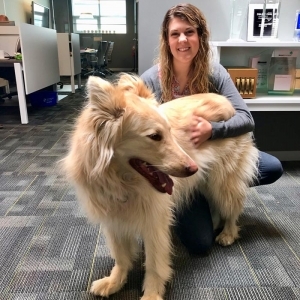 But the technology was still new and had never been tried in Canada, and the newly formed company was still working from their family’s home basement, so Steve was hesitant about rolling the program out to new clients. There was, however, one client that the new software, if it worked as promised, would benefit. With Netcetera’s requisite full transparency about the technology being untested and with a promise to service and support the brand new software, Steve Weeks introduced the program to one of his clients; a law firm in what was then, Steve says, the “remote” location of Squamish. “We felt that if it worked out, the new technology would be the ultimate solution to their issues,” Steve recalled, “and it was. That was about ten years ago, and although there were some initial struggles, the Datto solution proved to be just what they and we had hoped it would be. Our client (Race and Company LLP) became the first client in Canada to use the award-winning Datto Backup and Disaster Recovery technology. During the entire time our client has used the software, we’ve recovered files and systems with no data loss and minimal to no downtime. We’ve also done upgrades and migrations of servers for them, and the Datto technology facilitated the updates making them happen faster and without interruption to the users. A client of Netcetera’s since 1999, Race and Company just ordered their newest Datto device and still rely on it and Netcetera for business continuity. Race & Company’s lawyers provide expert advice and advocacy in a variety of areas of the law, including personal injury, insurance defence, Workers Compensation appeals, real estate, business law, and estate planning. The lawyers of Race & Company LLP have been proudly serving Sea to Sky country and our worldwide clientele with local knowledge and proven integrity since 1973. Our lawyers and staff are dedicated members of the community, providing volunteer time and expertise to a variety of Sea to Sky charities and organizations, including our Community Foundations, Chambers of Commerce, Community Services Societies, and numerous sports and arts groups. Today, Datto Inc. is worth $1.5 Billion and has over 1500 employees, operating in over 40 countries worldwide. 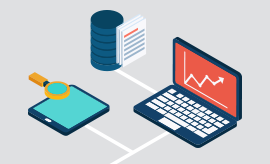 Datto Inc. is considered one of the premier business continuity solutions in the market. 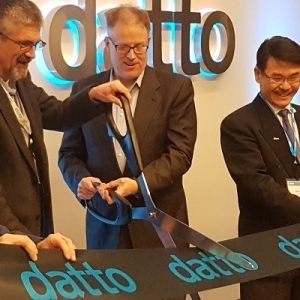 In 2015 Netcetera was named Datto Community Partner of the Year.